In 2015, Russia signed a contract with satellite telecom startup OneWeb to launch a total of 21 Soyuz carrier rockets with OneWeb satellites between 2017 and 2019. OneWeb plans its initial fleet size to be at 882 satellites, with around 2,000 more to be added during the second stage of the project. According to media reports, Russian rockets may be used for the bulk of the launches. 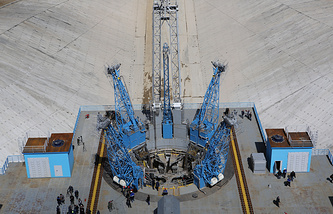 The Vostochny space center is intended to reduce Russia’s dependence on the Kazakhstan-based Baikonur launch site. Its geographical location at 51 degrees north means that rockets will be able to carry almost the same amount of payload to orbit as they can when launched from Baikonur, at 46 degrees north. 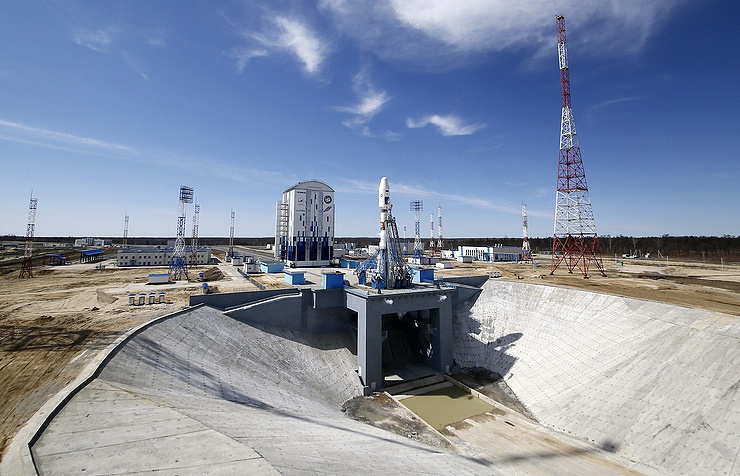 The Vostochny space center in the Amur region is intended to reduce Russia’s dependence on the Kazakhstan-based Baikonur launch site. Its geographical location at 51 degrees north means that rockets will be able to carry almost the same amount of payload to orbit as they can when launched from Baikonur, at 46 degrees north. Vostochny’s construction began in 2012. The infrastructure for the first unmanned Angara carrier rocket launch is due to be ready by 2021, and for the first manned Angara mission by 2023. The only launch from the space center so far took place in April 2016, when a Soyuz-2.1a rocket put three spacecraft into orbit.